The Lloyd's Under 35 Marine Insurance Group held it's inaugural conference in London this week, with industry experts coming together from across the globe. Cyber was a key topic of discussion, with constantly evolving and emerging risks causing uncertainty for insurers and insureds, in terms of the extent that can be covered when the risk is so unknown. The 'Institute Cyber Attack Exclusion Clause', more commonly known as Clause 380, is interestingly under review, as it currently excludes loss arising from cyber attacks, leaving the insured vulnerable to such risks. This emerging news that modern risks are now under review for inclusion in traditional marine policies is evidence of the market evolving with the times. 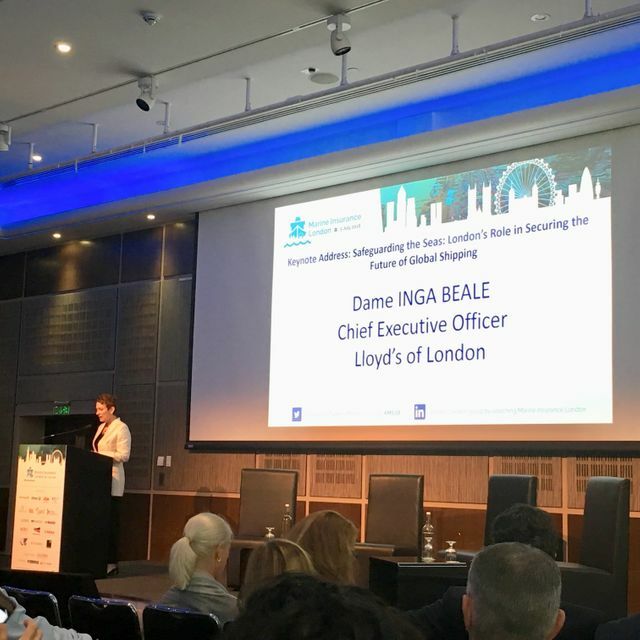 This was discussed in the keynote address, delivered by Dame Inga Beale, who also touched on the importance of uniting as an industry to share expertise and experience for the mutual benefit of the industry as a whole. As an information provider, this is a core value held by Axco, as we aim to build communities to improve our products and provide the knowledge that the industry needs, as the risk landscape evolves; the Marine Insurance London conference facilitated this for us excellently and we hope to return next year.